For more information on our custom safety guarding solutions, click the download button below. 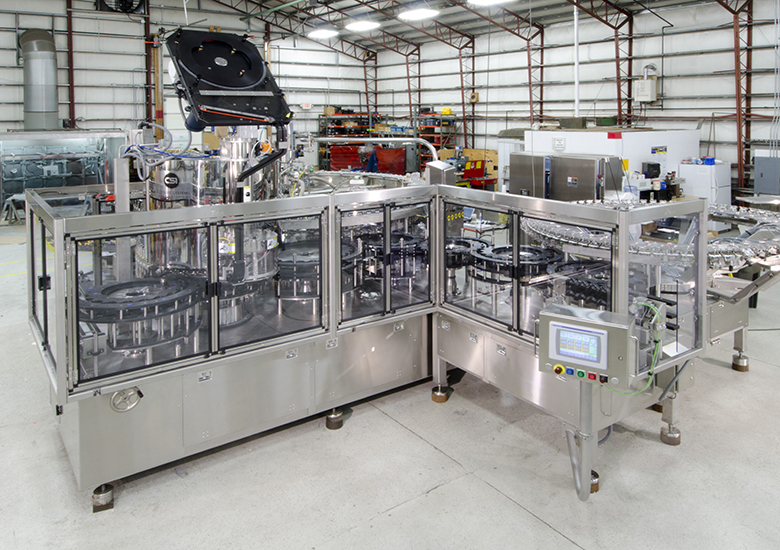 Bevcorp’s award winning custom safety guarding packages are the most cost-effective, protective systems available for most fillers as well as other equipment including seamers, cappers, labelers, etc. Safety guarding is designed to protect personnel from accessing the machines during normal operation, and can be used for a variety of safety levels including Category 3 levels of machine safety control are required. Custom safety guarding solutions are categorized into Bev-Guard and Key-Guard systems. Bev-Guard is a series of mechanical guards (doors, panels, and other devices) configured to form a safe boundary between the filling machinery and operating personnel. The guards are equipped with an electrical interlocking system (safety relay, PLC, and solenoid locking switches) that permits or prohibits the operation of the filling system by regulating the guard doors (opening and closing). The PLC provides automatic control of the solenoid locking switches and monitoring of the safety circuit. Multiple jog stations can be installed, but only one station can be active at any time. Tri-Color LED indicators at each guard door for fast visual indication of door/switch status. Key-Guard is a lower cost solution that eliminates the majority of the wiring and electronics required for the Bev-Guard systems. It employs the same modular mechanical guards, but the safety interlock is accomplished via a trapped-key system. A PLC-controlled retention station holds keys captive while the filling system is in operation. Keys cannot be removed from the retention station without a stop motion command by an operator. After the filler stops and power is isolated, keys are released and trapped in a designated sequence, allowing individual or multiple doors to open, or granting specific functionality while a door is open. In order for the filling system to operate normally, all keys must be returned to the retention station and locked into place by resetting the control system. Jog station functionality stays the same. Key-Guard Plus is the Key-Guard System with the addition of proximity switches at each door location for diagnostics on HMI of door open/close status.